Come visit with all our stars by owl light: Patrice, Carole, Barbara, Ariane, Tammie, Viola, Melodye, Joke, Lucia, Eric, Stefanie, Roberto and Renilde. And then the universe took a sigh of relief…Mood and Happy…It’s a conspiracy! your process is always stunning, v. from your designs i always derive fun, and the moment of energy. yes, what a good idea to call it DC, it does push us. i was thinking about the stars this week and up to last night i was pretty sure i was going to produce something and then all of a sudden doing NOT became so enthralling. … n? i love looking at this! thank you for hosting dear Veronica! dear Veronica, thanks for the invitation, i couldn’t find time this week as a little grandson star is staying over and keeping me very busy 🙂 but stars were on my mind this week. 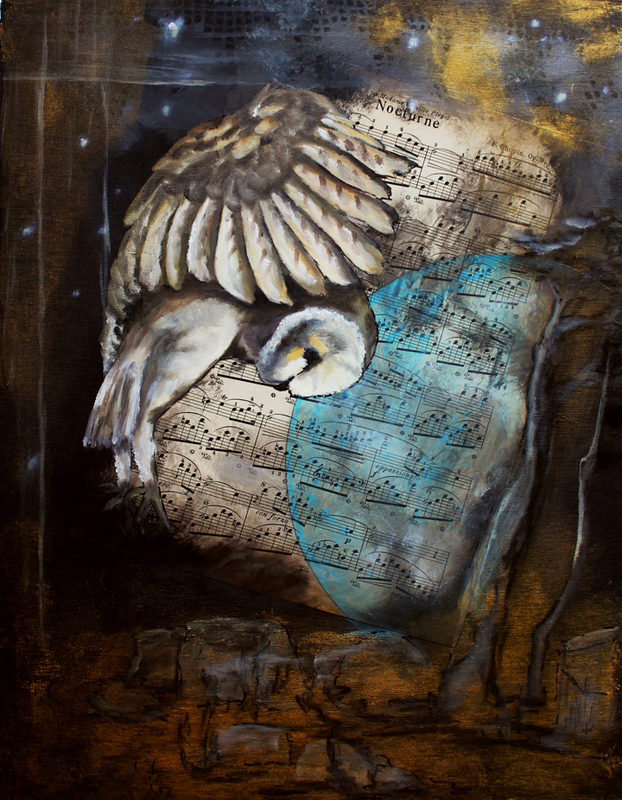 your owl, silently dancing his wonderfull nightly ballet is gorgeous, he looks like bowing to the stars, his companions in the dark. Beautiful, Veronica. Thank you for hosting another Drawing Challenge. I’ve been watching the stars at night wondering what to do when a new direction came into my mind. Gorgeous. I am in awe of a gift that allows ‘fun’ to come out looking like the completed work! Your “pile”story made me smile. We all have them, with different names. I’m sure this one is from the “hidden treasures” pile. Dear Veronica, your described piles of abonded works and not go to piles sounds very familiar to me and probable to all artists and so it was a good idea to challenge yourself with a dc and as you and we all can see you did very well and convincing piece which certainly grew over the period of time. 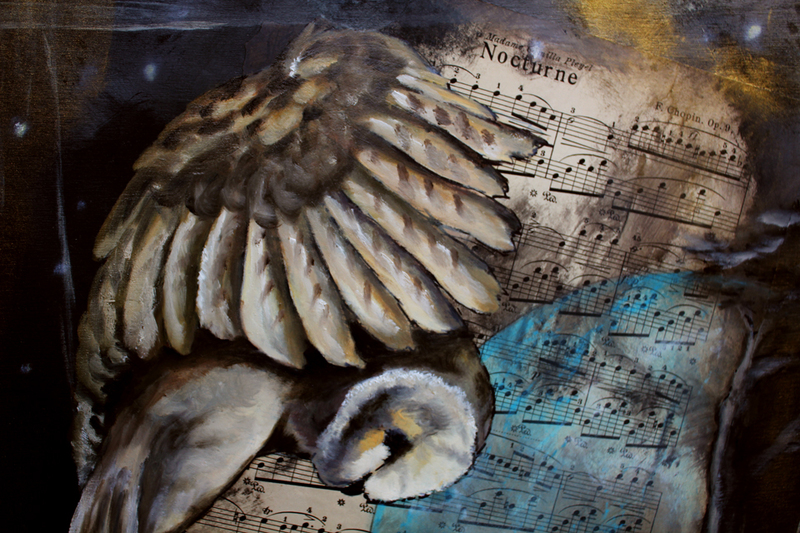 I painted an owl yesterday, or not really painted as I used a new stencil I bought the other day, I love owls! Just press on my name in this comment.